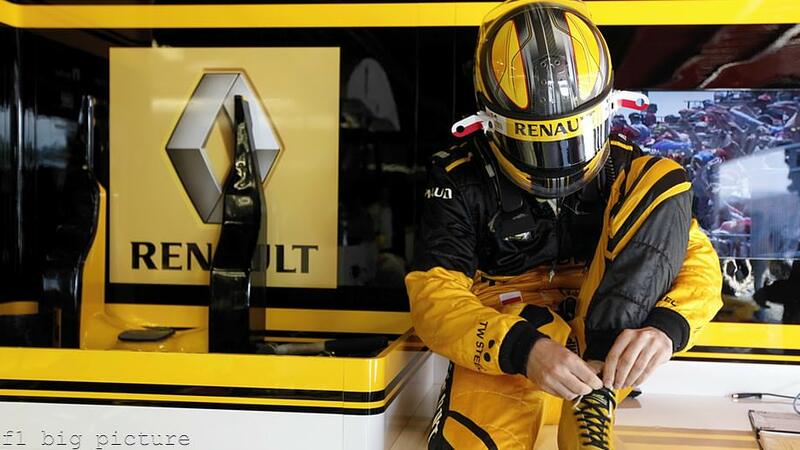 Robert Kubica ties his shoelaces during the Spanish GP weekend. 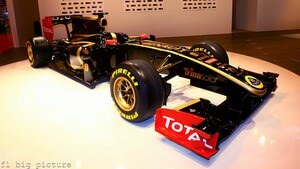 The Renault team will no longer run in bright yellow colours, after a tie-up with Group Lotus and a rebranding for 2011. 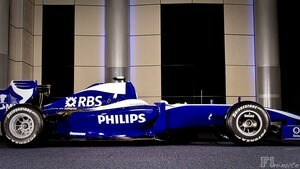 The new colour scheme is less yellow and more gold, but the driver line-up remains the same. 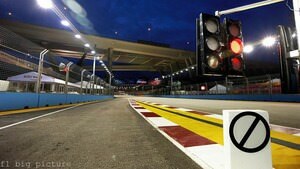 In December, Vitaly Petrov was confirmed alongside Kubica, meaning they remain one of the tallest pairings on the grid. Petrov's best finish in 2010 was a 5th place in Hungary, and his improved form towards the end of the season convinced team boss Éric Boullier that he was worth hanging on to.